I am always thrilled and honored when I get to photograph an event or session for someone within the wedding industry. It really makes me feel that I am a part of the SoCal wedding community– and not just that I’m a part of the community, but that I’m respected! So when Amanda Auer of In The Now Weddings and Events asked if I could come take some pictures at the Serra Plaza Launch Party her team was throwing, I was so excited! I’m pretty sure I did a happy dance! 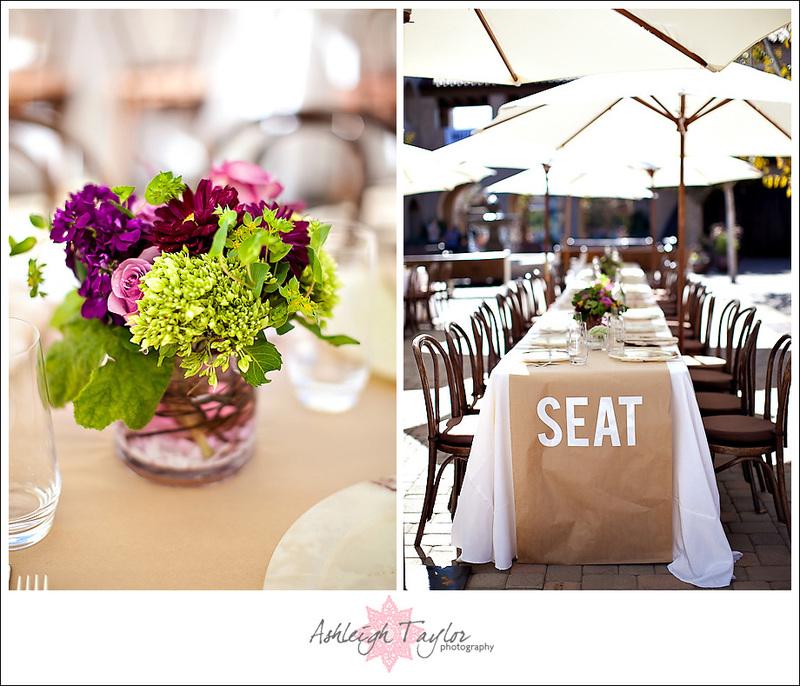 Serra Plaza is a brand new and super GORGEOUS wedding venue in San Juan Capistrano! I love it because its so close to the mission and the old town (perfect for bride & groom pictures) and the venue itself has wonderful Mediterranean charm! It’s also an outdoor venue, with areas for the ceremony and the reception, which I LOVE! If you are still looking for a venue, or have a friend who just got engaged, I suggest checking out Serra Plaza! It’s fabulous! The event was a brunch, which I think is so cute! I think the idea of having a brunch wedding is fabulous! And for couples on budget who still want a fabulous wedding, having a daytime wedding can save you big bucks! 😉 Brunch lends itself to some super cute ideas, and Rachel of In the Now ,who designed the whole event, really took advantage of the brunch theme! They had a gourmet coffee station set up, and also a “Mimosa Bar.” Guests could help themselves to half-filled champagne glasses and then choose from various fruit juices to finish filling their glasses with! It was super cute and delicious looking! 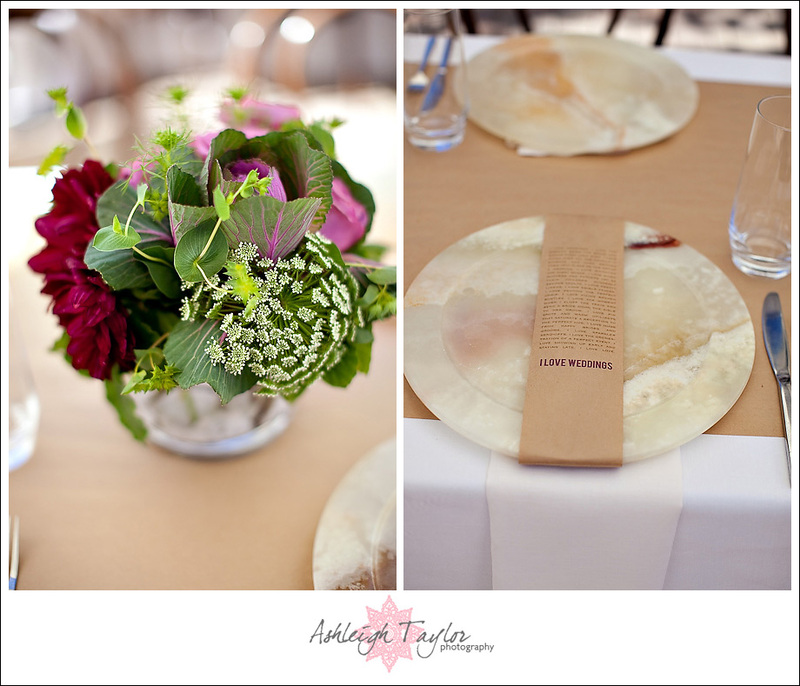 I also loved the tablescapes Rachel designed, accented with lovely florals by French Buckets! I also thought the gift boxes they made, and the floral pin-on name tags were super cute!!! Take a peek at the details I snapped! 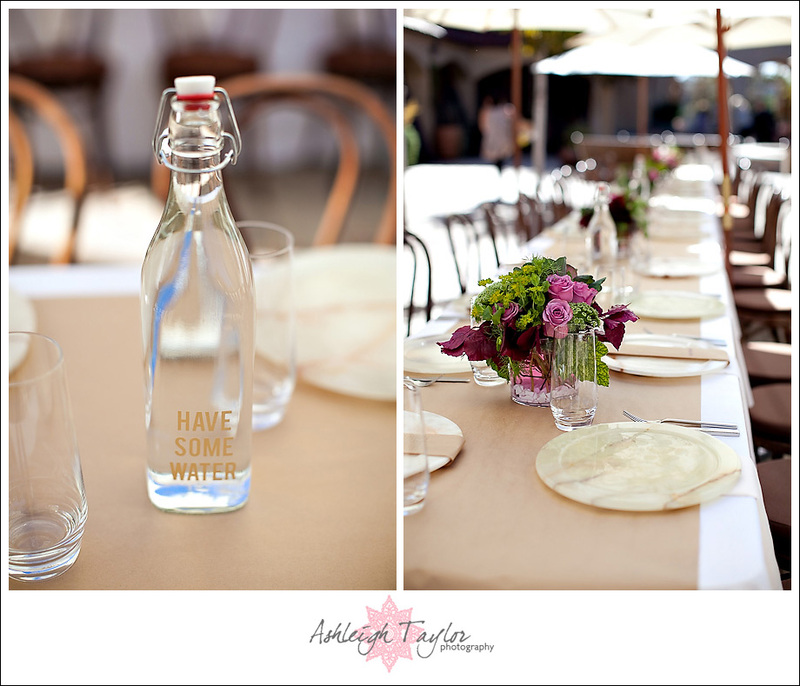 I love that the tables were so stylish, modern and chic…but also so relaxed! Brunch should be relaxed and not too formal or stuffy. These tables are perfectly brunch chic! Love the florals by French Buckets!! Here are the favor boxes all the guests got to take home! Love them!!! The event was catered by several different companies. But they all adhered to a brunch tapas theme! Love!!! Did I ever mention brunch is one of my FAVORITES? Here’s a photo of the In The Now team that I quickly snapped! Love them!!!!! The event also had a fashion show which is what this sign refers to…..
……and I will have more photos of the models to show you on Wednesday! But for now I hope you enjoyed these lovely details!